After 12 years, Genndy Tartakovsky’s cult hit cartoon Samurai Jack is finally returning on March 11 for a 10-episode revival on Adult Swim. This won’t be a tease for a few more years of increasingly melancholy and thrillingly stylish adventures from Tartakovsky and his reticent warrior, though, as he’s actually planning to give the show a proper finale this time around. During the show’s original run, Tartakovsky took a break to work on an animated Clone Wars miniseries that predated the computer-animated show, and when he was ready to come back to Samurai Jack, Cartoon Network no longer had room on its schedule. 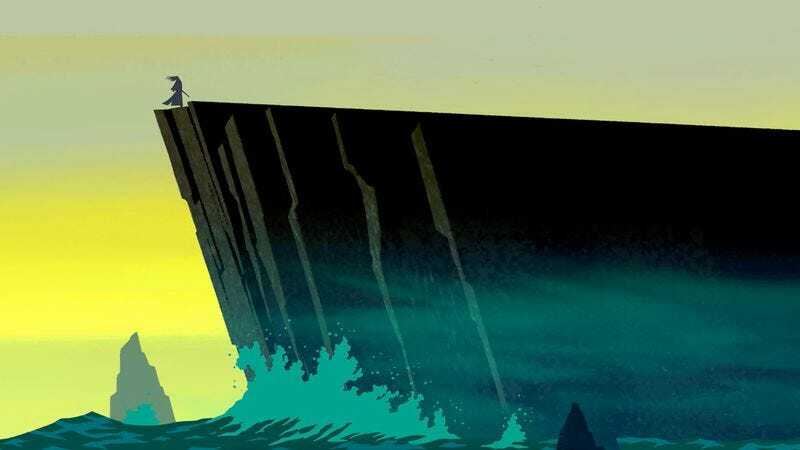 Elsewhere in the interview, Tartakovsky confirmed that the Samurai Jack comic book series published by IDW from 2013 to 2015 is not canon, and though he knows that the book had fans, he thinks the only proper way to conclude Jack’s story is with a TV show—specifically the one he’s making right now. “It’s not part of my Jack universe,” Tartakovsky says, adding that he thinks it was “wrong of them” to try and finish the story themselves. That presumably means the real Samurai Jack finale won’t be anything like the one in the comics, but it still doesn’t tell us much.